Catherine has over 25 years clinical experience working in the field of Perinatal Mental Health in a series of leadership roles. She currently has a dual role working between Perinatal Mental Health Services and Psychotherapy Services within the NHS. In her role as Perinatal Mental Health Research Lead for Sussex Partnership Trust, she developed and carried out numerous research projects. More recently her post within Perinatal Mental Health involves working with Sussex Partnership Trust key advisors on maternal mental health as part of the Quality and Standards Board. Catherine has extensive experience working with women who are pregnant and in the postnatal period with mothers and infants up to one year where there are significant child protection concerns. She also has a key role in teaching and delivering training on perinatal mental health to staff teams and other professionals within the service. Catherine’s unfolding interest in the field of parent-infant mental health led her to undertake additional therapeutic training and complete an MSc in Cognitive Behavioural Therapy (CBT) at the University of Brighton over ten years ago. She has subsequently written and delivered CBT training for professionals and conducted research for Children’s Workforce Development Council (CWDC) on maternal and infant mental health. Prior to this, she developed a ‘Mood Management for Parent’s’ program in conjunction with a West Sussex Children’s Centre. This program was rolled out throughout other local Children’s Services and has been accepted as part of a research project at Sussex University. She has a special interest in working with young people who have experienced multiple trauma, particularly through war and displacement. More recently, she has been working on a research project with Professor Sally Munt, University of Sussex, exploring resilience in trauma-exposed refugee children. Her passion for working with children and young people who have suffered from the trauma of war led to her setting up the ‘The Sanctuary Project’ in Brighton, which provides trauma therapy for refugees. Catherine is dedicated to understanding and promoting healthy adjustment of refugee children and adolescents who are currently being resettled in Sussex, and is working in partnership with local agencies to build prevention and intervention programs through training and developing resources to work with children, young people and families. Catherine is also trained in EMDR and has particular therapeutic skills in attachment-focused EMDR. She is also experienced in working with a range of other psychological difficulties and adults who have suffered from early childhood trauma. She blends other creative therapies into her therapeutic work with children, adolescents and adults, but also has a keen interest in the restorative value of mindfulness practice in her everyday clinical work. 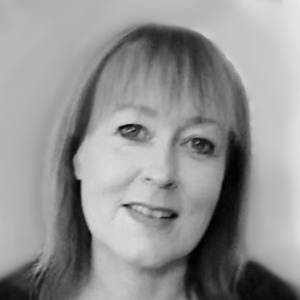 She is a fully accredited CBT Psychotherapist with the British Association of Cognitive Therapy and an accredited EMDR Practitioner.